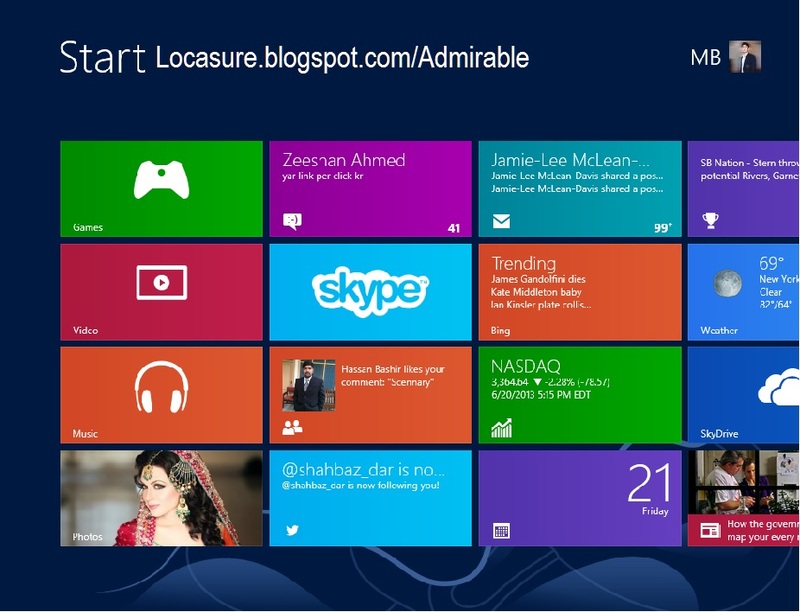 We are here to explain you uninstall of "Windows 8", if you wish to upgrade you "Windows"
Windows 8 is set to launch on 26 Oct, and Many PC, Tablet and laptop users have almost installed Consumer Preview and Release Preview. Windows 8 have a great look then that of Windows 7 and it won't be for Every user. Continuously who wish to use mouse and keyboard. Some people want to go back "Windows 8" to "Windows 7" or If someone want back "Windows Xp" like as Vista, Gold, Black Xp 2009 etc. so we are here to explain you in a proper way if anyone wish to uninstall his/her "Window" in Variety of number. Before we our Proceeding we should know that pointing out that MS (Microsoft) to get old view is not a simple task, it is a risky for unknown person. In "Windows 8" uninstalling system give a Note: If you are willing to go back Windows 8 to your Old operating system so you have just need to make Re-installation it from Recovery area or any kind of source, Like PC, DVD , CD etc. "if you don't have recovery system So you have to make Recovery Partition first in your PC with software which one allowed to you by a Manufacturer or Developer. you must check you PC Developer site for other information after installation of "Windows 8" you will not be able to go back with the Recovery System to your Old Operating system. If you want to upgrade your PC then there is no need of thinking just get Upgrade system "Windows 8" it is a really awesome working system now a days and it has so many perfect qualities than that of "Windows 7" and i hope it will not regretful to backing up your system. now user have much congrats for selecting 2nd drive partition of installing "Windows 8"
this is the dual boot operating system it means that your Old operating system remain saved in consumer primary devices why because of your selection of 2nd drive partition and you can operate "Windows 8" very easily without facing any problem i assured you it's a true sayings for users and unknown users. It is quite easy to recover your old one from your new one so need to be taking any confusion. lets begin first of all you should make a backup of your entire PC, mind it it's risky to choosing wrong file to get back and you will loss you data, so just focus and do with proper manner as much as you can, once you done your doing in Operating System you want to keep it in safe. hit on "set as default"
after finishing this you can close "msconfig"
Find "Disk Management" in the left side now hit on it. 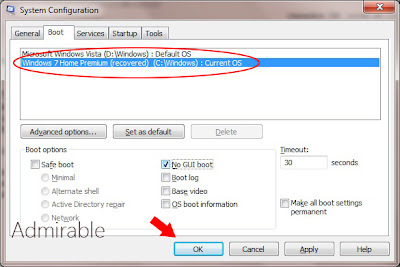 Search the Partition where you were created for "Windows 8" partition just right click on it and Delete that Volume, all doings done then right click on the empty volume and "Shrink Volume" close all tabs and reboot your system. I hope you are doing well. 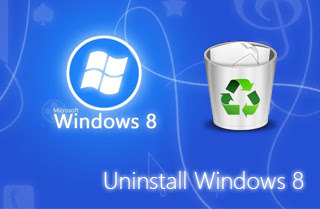 Uninstall "Windows 8" If you Install over "Windows 7"
If you have installed "Windows 8" after formatting your "Windows 7" the only way to remove data with operating system no of Memory loss. you have just need to clean installing of "Windows 7" which will clean your used data from system. In this installation you have just need of Backup of your "Windows" and "Serial key" or which we say "product key", remember one of the most thing that make a "Backup" of your all data in your system with an other drive. your PC would be clean in the move. Just take a Boot DVD, CD or USB drive, then format the "Windows partition" and just Install with your "Backup".